Are you ecstatic about learning about light? Well you are in the right place! 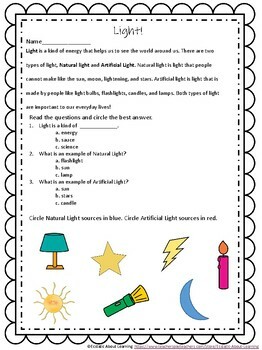 Use this quick reading comprehension piece on Natural and Artificial light to help your kiddos identify both light sources.